Elegant, powerful, and efficient – these are the features of the new juno. 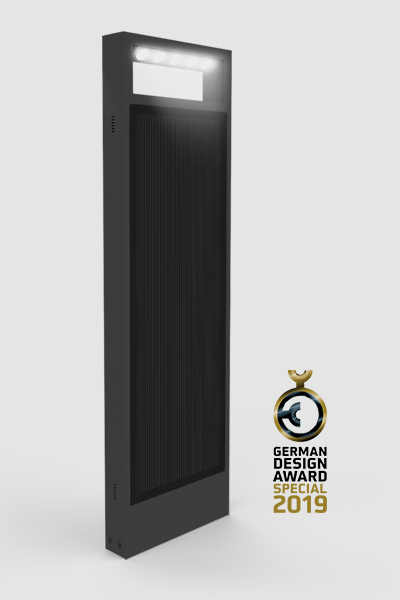 The slim bollard light offers not only modern design but also innovative solar technology. 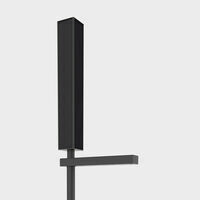 Wherever electricity is not readiliy available, the new juno path light can be easily installed. Juno’s unique construction guarantees unimpeded energy uptake, since the solar module cannot be covered by snow or foliage. Furthermore, in poor light conditions, 100% of the light reflecting on the solar module will be absorbed, which represents a significant advantage over traditional solar lamps. A special energy management system ensures continuous function for days, even in the case of bad weather.